To date, 64 soldiers have been killed in action during Operation Protective Edge. What follows is a list, with a short bio, of the soldiers who have lost their lives in what the prime minister called “the most just war of all… for our home.” If necessary, the article will be updated. We hope not. First Sergeant Eitan Barak, 20, served in the Nahal Brigade. He was killed on Friday, July 18, by gunfire in the northern Gaza Strip. Barak was pronounced dead at the Barzilai Medical Center in Ashkelon. Barak was the first soldier to lose his life in Operation Protective Edge. He was from Herzliya. Major Amotz Greenberg, 45, served in the reserve corps. He was killed on Saturday, July 19, during an attempted terror attack by Hamas gunmen who entered Israel through tunnels. He volunteered to perform his reserve duty, as he had already aged out of mandatory service. Greenberg is survived by three children ages 7, 12, and 15. Ori Greenberg’s last words to his father at his funeral included, “Once you only seemed like Superman; now you are Superman.” He lived with his family in Hod HaSharon. Sergeant Adar Barsano, 20, served in the Armored Corps. Barsano was killed on Saturday, July 19, during an attempted terror attack by Hamas terrorists who infiltrated into Israel through tunnels. “He was a hero and he died as a hero…our hearts are broken,” childhood friend Bar Schaps told Haaretz. Barsano was from Nahariya. Second Lieutenant Bar Rahav, 21, served in the Combat Engineering Corps. Rahav’s vehicle was hit by an antitank missile that was fired by terrorists in the central Gaza Strip. He died of his wounds on Saturday, July 19. 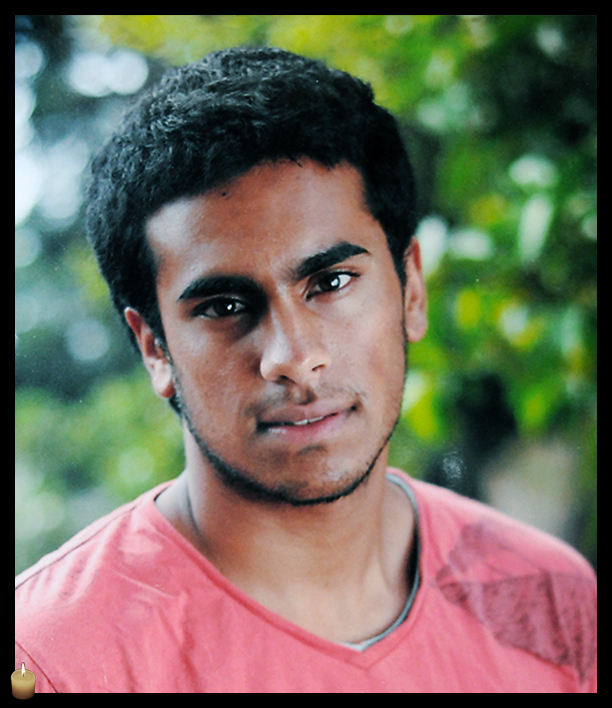 Rahav came from Ramat Yishai and is survived by his parents, two brothers, and a sister. Staff Sergeant Bnaya Rubel, 20, served in the Paratroopers 101st Battalion. He was killed on Friday, July 19, after a violent encounter with a terrorist who had infiltrated Israel through a tunnel. Ada Rubel spoke at her son’s funeral, saying: “There are no words to describe the loss we feel today. We so waited for your return, and instead the messengers came.” Rubel was from Holon. 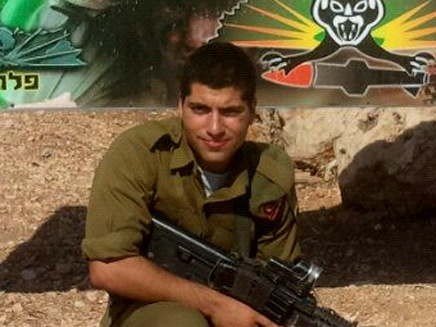 Staff Sergeant Oren Simcha Noach, 22, served in the Golani Brigade. He was killed on Sunday, July 20, when the APC he and his squad were traveling in was caught in an antitank ambush in Shejaiya. Noach lived in Hoshaya from the age of 13. He is survived by his parents, two brothers, and one sister. Sergeant Ben Itzhak Oanounou, 19, served in the Golani Brigade. He was killed in a battle in Shejaiya on Sunday, July 20. Oanounou had just enlisted a few months ago and had lost 40 kilograms in order to do so. Thousands attended his funeral. He was from Ashdod, where he lived with his parents, two brothers, and sister. Staff Sergeant Daniel Pomerantz, 20, served in the Golani Brigade.He died early morning Sunday, July 20, when the APC he was in was hit by an antitank missile in Gaza. Mako reported that a friend from school, Sapir Idan, said of Pomerantz: “He was funny and had a heart of gold. He always knew that he wanted to be a combat soldier and he had great motivation to enlist to combat.” Pomerantz was from Kfar Azar. Sergeant Shon Mondshine, 19, was a combat soldier in the Golani Brigade. He was killed on Sunday, July 20, when his APC was hit by an antitank missile in Gaza. He leaves behind his parents, brother and sister. Mondshine was from Tel Aviv. Staff Sergeant Shachar Tase, 20, served in the Golani Brigade.Tase died when the APC he was in was hit by an antitank missile on Sunday, July 20. As his coffin was lowered into the ground, his mother called out “No, it’s not you. It’s not you, my Shachar.” He leaves behind his parents and two brothers. Tase was from Pardesiya. Staff Sergeant Max Steinberg, 24, served in the Golani Brigade. He died in action in Gaza in Sunday, July 20. Steinberg was a lone soldier from Los Angeles; he did not have Israeli citizenship and was volunteering in the IDF. The consul general of Israel in Los Angeles, David Siegel, was quoted in the Los Angeles Daily News as saying “Max was a real hero, a real hero of his people, of our country.” Thirty-thousand people came to his funeral in Jerusalem at Mount Herzl, the military cemetery in Jerusalem. In Israel, Steinberg lived in Beersheba. Major Tzafrir Baror, 32, was a commanding officer in the Golani Brigade. He was killed in a firefight in Gaza on Sunday, July 20. Baror had served in conflicts in Lebanon, Gaza, and the West Bank. He is survived by his wife, who is eight months pregnant, and a 1-year-old daughter. Baror lived in Rehovot with his family. Captain Tsvi Kaplan, 28, was an operations officer in the Golani Brigade. He was a member of the reconnaissance platoon. He died in Gaza during a firefight on Sunday, July 20. He was supposed to become a company commander in the Golani Brigade within a few months. Kaplan is survived by his wife and two sons. They lived together in Kibbutz Merav on Mount Gilboa. 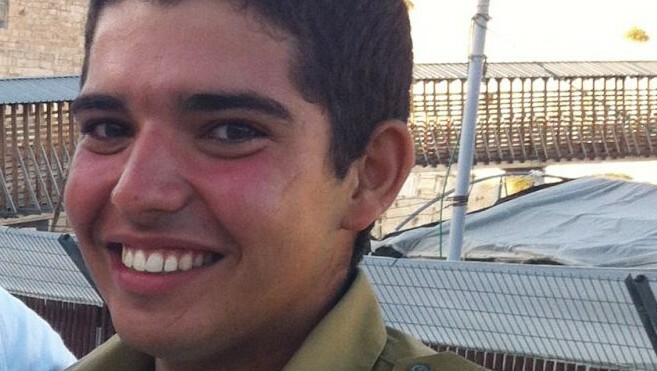 Staff Sergeant Gilad Rozenthal Yacoby, 21, was a combat soldier in the Golani Brigade. He was killed in Gaza on Sunday, July 20 during a firefight. Yacoby is survived by his parents and two sisters. He was from Kiryat Ono. Staff Sergeant Oz Mendelovich, 21, was a combat soldier in the Golani Brigade, who became a staff sergeant a few days ago. He was a member of the reconnaissance platoon. He died on Sunday, July 20, during a firefight in Gaza. Prior to his son’s death, Ofer Mendelovich spoke to Army Radio about Oz, “From the moment Oz was born he lived and breathed green and yellow,” the colors of Golani. Mendelovich is survived by his parents and two siblings. He was from Atzmon. Staff Sergeant Nissim Sean Carmeli, 21, served in the Golani Brigade. He was killed on Saturday, July 19 when the APC he was in was hit by an antitank weapon. Carmeli immigrated to Israel from Texas while in high school. After graduating he stayed in Israel and enlisted. 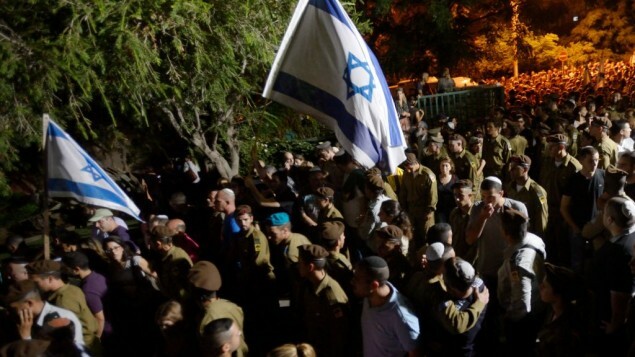 Ynet reported that Rabbi Asher Hecht, co-director of Chabad of the Rio Grande Valley, said that Sean “had great energy, yet had a kind and gentle soul.” Estimates are that 20,000 people arrived at his funeral to say goodbye to the lone soldier. While in Israel, he lived in Raanana. Staff Sergeant Moshe Malko, 20, served in the Golani Brigade. He was killed on Sunday, July 20 during fighting in the Shejaiya neighborhood of Gaza City. Malko is survived by his parents and siblings. He was from Jerusalem. Staff Sergeant Jordan Bensemhoun, 22, served in the Golani Brigade. His died on Sunday, July 20 when an antitank missile hit the vehicle he was in. Bensemhoun immigrated to Israel from Lyon, France, six years ago and enlisted in 2012. He is survived by his parents and two sisters. While in Israel, he lived in Ashkelon. 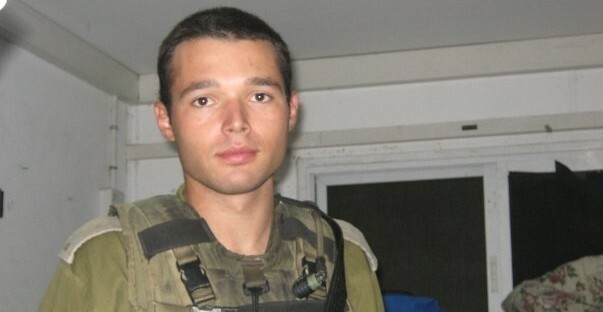 Staff Sergeant Yuval Dagan, 22, served in the Golani Brigade. He died in a firefight in Gaza on Monday, July 21. Dagan leaves behind his parents and a brother. He was from Kfar Saba. Staff Sergeant Tal Ifrach, 21, served in the elite Egoz unit in the Golani Brigade. He died in a clash in the neighborhood of Shejaiya, in Gaza City on Monday, July 21. Ifrach was supposed to finish his military service in three months’ time. He was from Rishon Lezion. Sergeant Nadav Goldmacher, 23, served as part of a unit from Bahad 1, an IDF officer training base. He was part of a force responding to terrorists infiltrating into Israel on Monday, July 21 when he was killed by an antitank missile. Goldmacher was from Beersheba. Second Lieutenant Yuval Haiman, 21, was a combat soldier from Bahad 1, an IDF officer training base. He was killed by an antitank missile when responding to terrorists infiltrating into Israel on Monday, July 21. Haiman was from Efrat. Sergeant-Major Bayhesain Kshaun, 39, was a combat soldier in the Northern Gaza Territorial Brigade. He died on Monday, July 21 when an antitank missile was fired at forces responding to terrorists infiltrating into Israel. He is survived by his three children and his wife, who is nine months pregnant. Kshaun was from Netivot. Lieutenant-Colonel Dolev Keidar, 38, was the commander of the Geffen Battalion. He was killed by an antitank missile when responding to terrorists infiltrating into Israel Monday, July 21. After his death, Israeli television replayed clips from a 2009 documentary Keidar took part in, “Waiting for him,” about the families of officers in the IDF and their struggles. Keidar lived in Modiin with his family. Sergeant First Class Oded Ben Sira, 22, served in the Nahal Brigade. He was killed on Monday July 21st by sniper fire. Ben Sira finished his conscripted army service while in Gaza. He is survived by his parents and five siblings. He was from Nir Etzion. 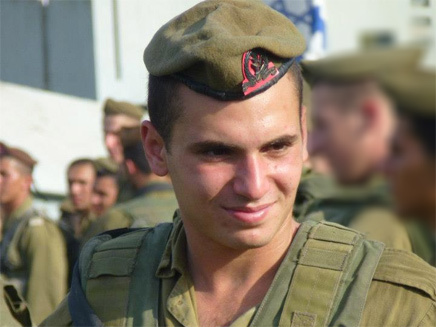 Non-Commissioned Officer Ohad Shemesh, 27, was a reserve soldier in a paratrooper unit. He died on Monday, July 21 in a clash between his unit and gunmen in Khan Yunis in Gaza. His family has asked for privacy during this difficult time. Shemesh was from Beit Elazari. Staff Sergeant Avitar Moshe Torjamin, 20, served in the Paratroops. He was killed on Tuesday, July 22, during an exchange of fire with terrorists in the Gaza Strip. Torjamin was released from the army two weeks ago but returned for the operation in Gaza. He is survived by his parents and three siblings. Torjamin was from Beit She’an. Captain Dmitri Levitas, 26, was an officer in the Armored Corps. He was killed in Gaza on Tuesday, July 22, by a sniper. Levitas immigrated from Tashkent, Uzbekistan, at the age of 1. Recently, Levitas recently moved from Jerusalem to the Golan community of Gesher. 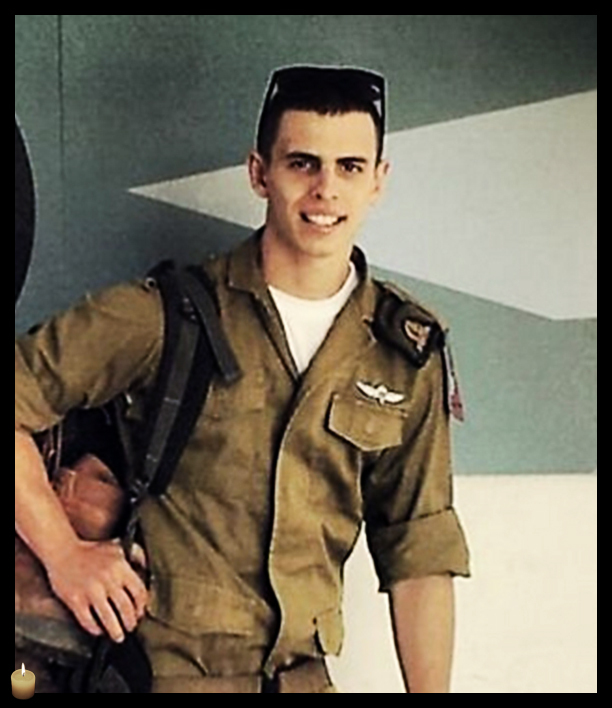 First Lieutenant Natan Cohen, 23, was a platoon commander in the Armored Corps. He was killed in combat in the Gaza Strip on Wednesday July 23. He was planning to soon marry his girlfriend of five years. Cohen was from Modiin. 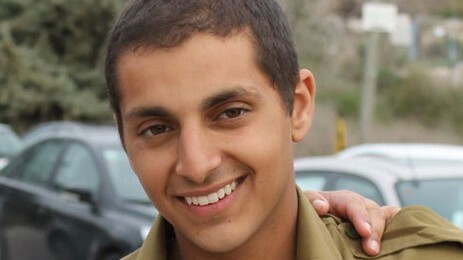 Second Lt. Paz Elyahu, 22, was a combat soldier in the Paratroopers Brigade. He died in combat in Gaza on Tuesday, July 22 after entering a booby-trapped house in Khan Yunis. Nearby gunmen detonated an explosive device and then opened gunfire on the soldiers. Three soldiers were killed in the attack. 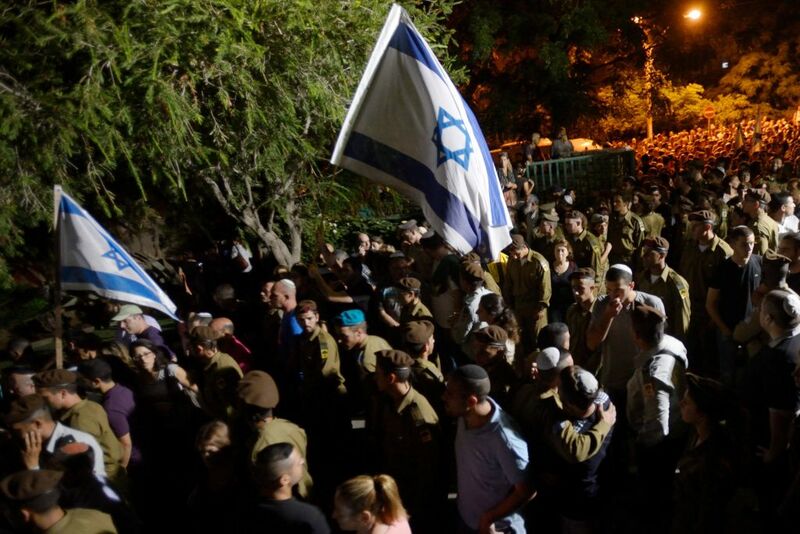 Israel Hayom quoted Elyahu’s father, Uri, sharing a conversation he had with his son: “I’m taking care of myself,” Paz said, “but like you taught me — I’m first, I’m the squad leader. My guys are with me and I’m with them, through fire and water.” He is survived by his parents, two brothers, and girlfriend of seven years. Elyahu was from Kibbutz Evron. Staff Sgt. Li Mat, 19 years old, was a combat soldier in the Paratroopers Brigade. He died in combat in Gaza on Tuesday, July 22 after entering a booby-trapped house in Khan Yunis. Nearby gunmen detonated an explosive device and then opened fire on the soldiers. Three soldiers were killed in the attack. Mat, from Eilat, leaves behind his parents and three siblings. Staff Sgt. Shachar Dauber, 20 years old, was a combat soldier in the Paratroopers Brigade. He died in combat in Gaza on Tuesday, July 22 after entering a booby-trapped house in Khan Yunis. Nearby gunmen detonated an explosive device and then opened fire on the soldiers. Three soldiers were killed in the attack. Dauber was from Kibbutz Ginegar. 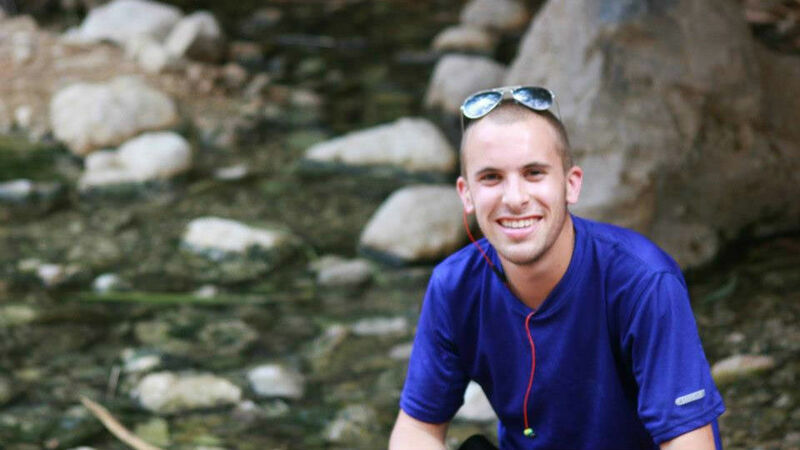 A youth counselor and coordinator at the kibbutz, Michal Wolf, spoke to Ma’ariv Online saying: “Shahar was a boy full of joy of life and love for life.” He leaves behind his parents and older brother. Master Sgt. 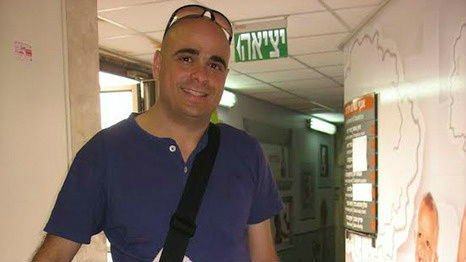 Yair Ashkenazi, 36 years old, was a combat reservist who died in combat in Gaza on Friday, July 25. The IDF is investigating whether he was killed by errant fire from Israeli forces. In his civilian life, Ashkenazi is a lawyer representing the city of Modiin. He is survived by his wife and three children. He was from Rehovot. Staff Sgt. Oron Shaul, 20 years old, was a Golani Brigade soldier who was killed when his APC was hit in Shejaiya on July 20. Initially designated an MIA, his death was formally confirmed by the IDF’s chief rabbi on July 25. The family was told that he was designated a fallen soldier “whose place of death is not known.” He was from the northern town of Poriya. Staff Sgt. Guy Levy, 21 years old, was killed July 25 during heavy fighting in the central Gaza Strip. Initial reports said Hamas gunmen fired an anti-tank missile at his tank. Several other soldiers were wounded in the incident. Staff Sgt. Guy Boyland, 21 years old, was killed July 25 during heavy fighting in the Gaza Strip. Boyland was a combat engineer for the 7th Armored Brigade. Born in New Zealand, he moved to israel with his family at a young age. He was from Kibbutz Ginosar, on the Sea of Galilee. First Sgt. 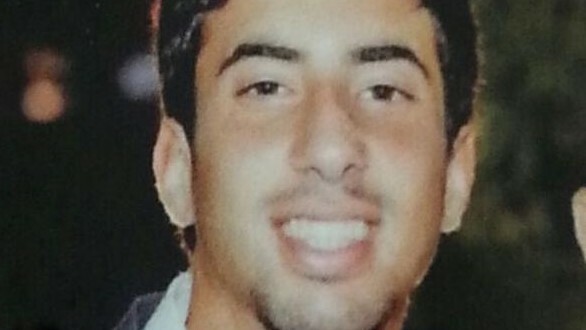 Amit Yeori, 20, was a combat solider in the Engineering Corps. He was killed during a firefight in Gaza on July 25. Amit “was not afraid of anything…His company commander said that through the week before his death, he was the first to attack – in the operation in which he was killed, too,” his father told Haaretz. He is survived by his parents and two siblings. Yeori was from Jerusalem. Second Lt. Roy Peles, 21, was an infantry officer in the Nahal Brigade. He was killed in Gaza on July 26 when the armored vehicle he was in was attacked by an anti-tank missile. Peles only finished his officer’s course a month before going into Gaza. He leaves behind his parents and two siblings. Peles was from Tel Aviv. First Sgt. Gal Bason, 21, was a combat soldier in the Engineering Corps. He was killed in combat in the northern Gaza Strip on July 26. Before Bason joined the army, he went to Germany with other Israelis and Palestinians as part of an event that nurtured coexistence. He is survived by his parents and two siblings. Bason was from Holon. First Sgt. Avraham Grintzvaig, 21, was an infantry soldier in the Nahal Brigade. He was killed in combat in the northern Gaza Strip on July 26. He leaves behind his parents and twin sister. Grintzvaig was from Petah Tikva. Capt. 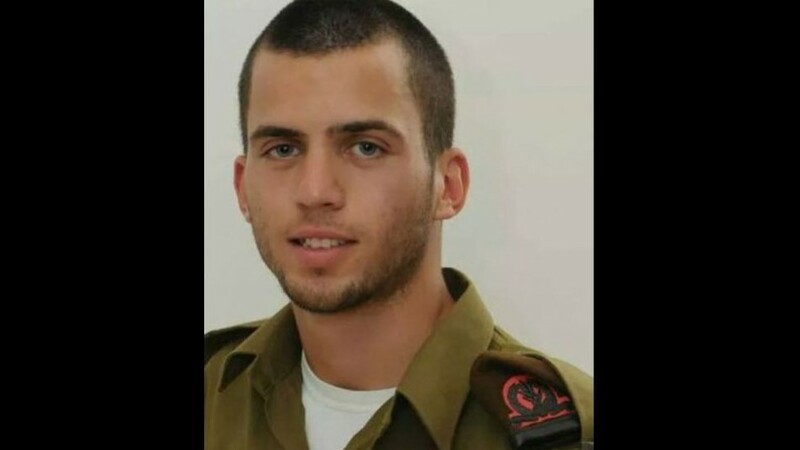 Liad Lavi, 20, an Infantry Corps officer, died from his wounds after being injured in combat in the southern Gaza Strip on Thursday, July 24. For Lavi, the conflict hit very close to home. He was from Talmei Yosef, a town near the border with Gaza. Sgt. First Class (res.) Barak Refael Degorker, 27, was killed by mortar fire near the border with Gaza on July 26th during a humanitarian ceasefire. Degorker was a member of Bene-Israel, an Indian Jewish community in Israel. Degorker was from Gan Yavne. Staff Sgt. Moshe Davino, 20, was an infantry soldier in the Givati Brigade. He was killed on July 28 during fighting in Khan Younis in the southern Gaza Strip. Four of his closest childhood friends were also deployed to Gaza during Operation Protective Edge. Davino leaves behind his parents and four siblings. He was from Jerusalem. Staff Sgt. Adi Briga, 23, was a soldier in the 7th Armored Brigade. Briga was killed with three other soldiers by mortar fire along the Gaza border on July 28. At his funeral, Adi’s sister, Michal, spoke to him, “And now I am accompanying you on your last journey. How do I eulogize you? Where do I start? How do I put into words the painful thoughts we have had since yesterday?” she continued, starting to cry: “It is intolerable to think of you in the past, it is too painful.” Briga was from Beit Shikma. Cpl. Niran Cohen, 20, was a soldier in the 7th Armored Brigade. He was killed by mortar fire along the Gaza border on July 28. He is survived by his parents and three siblings. Cohen was from Tiberias. Staff Sgt. Eliav Eliyahu Haim Kahlon, 22, was a soldier in the 7th Armored Brigade. He was killed on July 28 by mortar fired from Gaza. He leaves behind his parents and six siblings. Kahlon’s older brother is also fighting in Gaza as a reservist. Kahlon was from Safed. Sgt. Dor Dery, 18, was a soldier in a squad commander course. Dery was killed when terrorists infiltrated Israel from Gaza through a tunnel and attempted to execute an attack on July 28. Five soldiers were killed during the attack. He was the youngest child in a family of four siblings. Dery was from Jerusalem. Sgt. Sagi Erez, 19, was a soldier in a squad commander course. 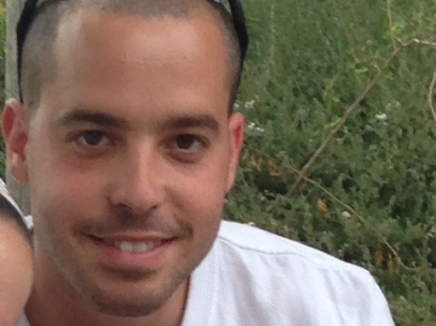 He was killed on July 28 by Hamas gunmen who emerged from a tunnel near Kibbutz Nahal Oz. Five soldiers were killed during the attack in total. Speaking about him, Erez’s cousin Stav told Maariv online: “He was the king of the family, this kid that was [just] starting on his way who always knew what he wanted to do.” Erez was from Kiryat Ata. Sgt. Barkey Ishai Shor, 21, was a soldier in a squad commander course. Short was killed on July 28 when terrorists attempted to infiltrate Israel from Gaza through a tunnel that ended near Kibbutz Nahal Oz. Five soldiers were killed. His family has requested privacy during these difficult times. Shor was from Jerusalem. Sgt. Daniel Kedmi, 18, was a soldier in a squad commander course. 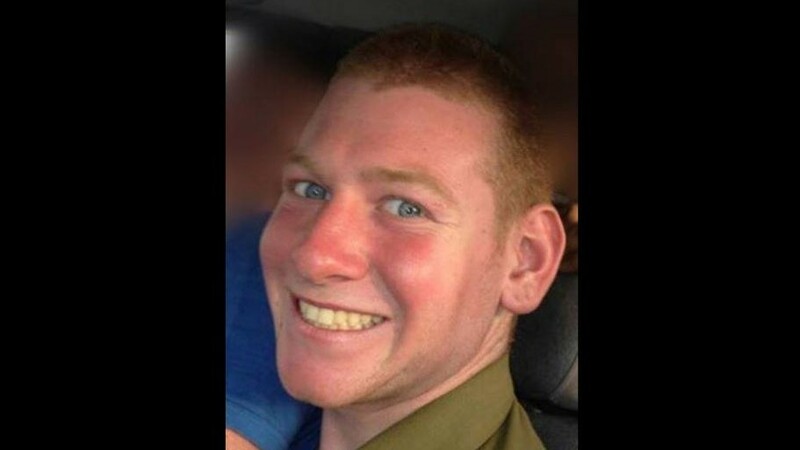 He was killed in combat when terrorists infiltrated Israel from Gaza through a tunnel and attempted to execute an attack near Kibbutz Nahal Oz on July 28. He leaves behind his parents and three siblings, Daniel was the youngest. His sister, Natalie, spoke through her tears at his funeral: “Our Daniel. Our hero. I have no idea how to say goodbye to you. How do you say goodbye to an 18-year-old boy?” Kedmi was from Tzofim. Sgt. Nadav Raimond, 19, was a soldier in a squad commander course. He was killed in combat when terrorists infiltrated Israel via a tunnel from Gaza and attempted to execute an attack on July 28. His family has requested privacy during these difficult times. Raimond was from Shadmot Dvora. Staff Sgt. 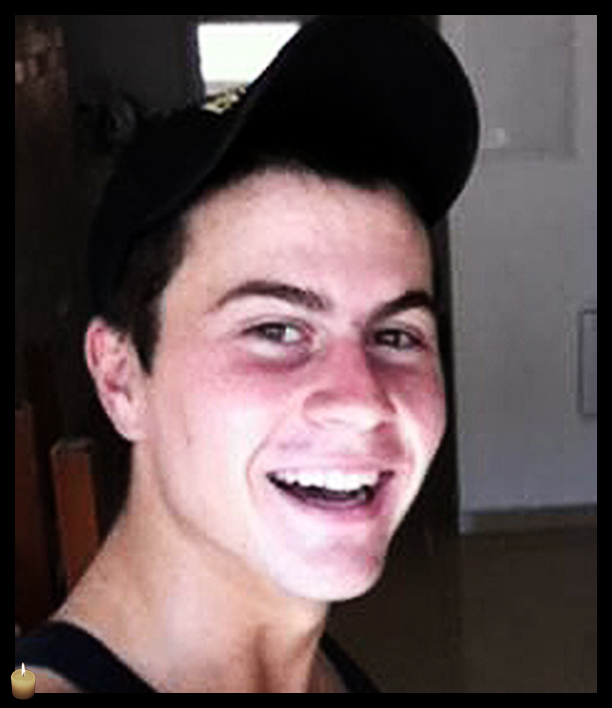 Matan Gotlib, 21, was a combat soldier in Maglan, an elite IDF unit. He was killed along with two other soldiers in a booby-trapped building thought to be a UNRWA health clinic on July 30. The soldiers had entered in order to destroy an underground tunnel that started from inside the clinic. 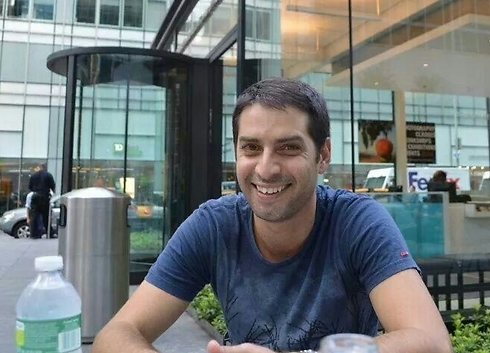 His brother, Omer, spoke to Ynet: “Matan smiled a lot, always loved to help, loved the country and loved to travel through it in his jeep.” Gotlib was from Rishon Lezion. Staff Sgt. Omer Hay, 21, was a combat soldier in Maglan, an elite IDF unit. He was killed along with two other soldiers in a booby-trapped building thought to be a UNRWA health clinic on July 30. The soldiers had entered in order to destroy an underground tunnel that started from inside the clinic. His family has asked for privacy during these difficult times. Hay was from Savion. Staff Sgt. Guy Algranati, 20, was a combat soldier in Maglan, an elite IDF unit. He was killed along with two other soldiers in a booby-trapped building thought to be a UNRWA health clinic on July 30. The soldiers had entered in order to destroy an underground tunnel that started from inside the clinic. He leaves behind his parents and five sisters. Algranati was from Tel Aviv. Staff Sgt. Shay Kushnir, 20, was a soldier in the Barak Armored Brigade. He was killed on July 31 by mortar fire near the Gaza border. His family has asked for privacy during this difficult time. Kushnir was from Kiryat Motzkin. Capt. Omri Tal, 22, was a soldier in the Barak Armored Brigade. He was killed near the Gaza border by mortar fire on July 31. His mother, Esti, wrote of her son: “There are not a lot of other people like [him], and Omri left us. Omri loved this country, and the country didn’t succeed in embracing him in return,” Ynet reported. Tal was from Yehud. Sgt. First Class Daniel Marash, 22, was a reserve soldier in the Barak Armored Brigade. He was killed on July 31 near the border with Gaza by mortar fire. His family has asked for privacy during this difficult time. Marash was from Rishon Lezion. Staff Sgt. Noam Rosenthal, 20, was a soldier in the Barak Armored Brigade. He was killed near the border along with other soldiers when a mortar was fired from the Gaza Strip on July 31. His family has asked for privacy during this difficult time. Rosenthal was from Meitar. Capt. (res.) 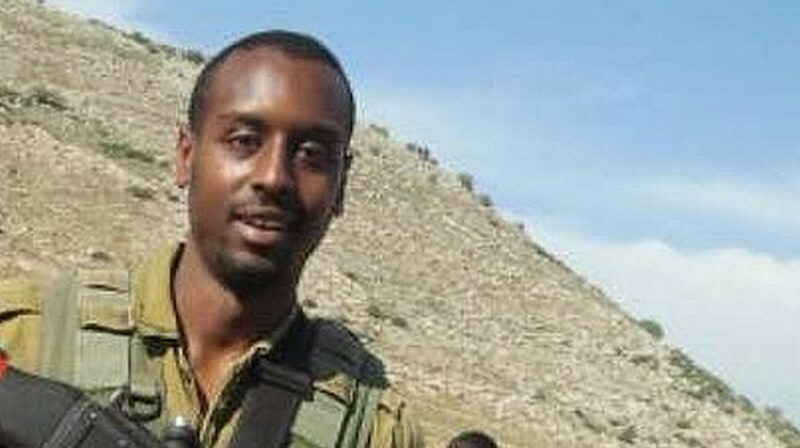 Liran Adir (Edry), 31, was a soldier in the Barak Armored Brigade. He was killed by mortar fire near the border with Gaza on July 31. His family, like many others, has seen tragedy before. Liran’s grandfather, Morris Edry, was murdered by a terrorist in 1993. Adir was married just one month ago and had planned to leave soon to study medicine abroad. He grew up in Netanya and was living with his wife in Ezuz. Staff Sgt. Liel Gidoni, 20, was a soldier in the Givati Brigade. He was killed during a firefight in Southern Gaza on August 1 at a time that was supposed to be a ceasefire. Gidoni was from Jerusalem. Mjr. Benya Sharel, 26, was an officer in the Givati Brigade. He was killed during a firefight in Southern Gaza on August 1 at a time that was supposed to be a ceasefire. Sharel was from Kiryat Arba. 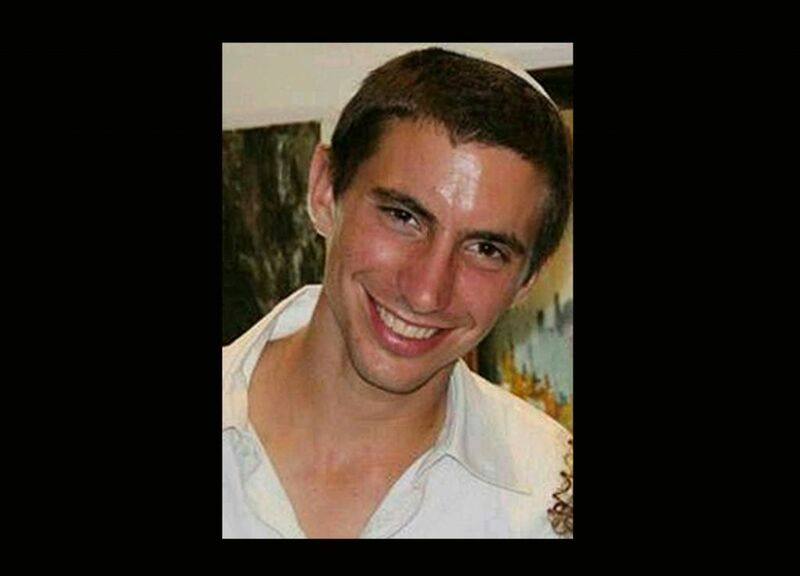 2nd.-Lt. Hadar Goldin, 23, was an officer in the Givati Brigade. He was killed during a firefight in Southern Gaza on August 1 at a time that was supposed to be a ceasefire. He was formally declared a fallen soldier whose place of burial is unknown. Goldin was from Kfar Saba.